The most recent Risperdal lawsuit slated to go before a jury ended in a settlement before the trial even began. Risperdal manufacturer Johnson & Johnson agreed to settle the case for an undisclosed amount, possibly avoiding another massive judgement that has characterized recent Risperdal trials. The latest case, which was slated to be the next bellwether trial, was a complaint filed by a male plaintiff that took Risperdal at the age of seven. The drug was prescribed to treat Asperger’s syndrome, oppositional defiance disorder and impulse control disorder. The plaintiff was taken off Risperdal after just over a year of use, he resumed use of a generic form of the drug a few years after. He continued to take the generic version of Risperdal for approximately four years. 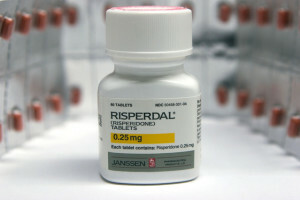 Risperdal is an antipsychotic medication that was originally approved by the FDA to treat schizophrenia in adults. However, it has also been widely used off-label to treat a variety of disorders in children, including autism and behavior disorders. Unfortunately, that off-label use has been associated with a host of potentially serious and devastating conditions, including gynecomastia. Like the other plaintiffs who have filed lawsuits against Risperdal manufacturer Johnson & Johnson, the plaintiff in this lawsuit alleges his use of Risperdal led to gynecomastia. Gynecomastia, or male breast growth, is a condition that causes the breasts of a male patient to grow to a disproportionate size to the rest of the body. While the condition isn’t necessarily a serious medical concern, it can be very traumatic for boys and men, creating significant psychological consequences for some. The only effective treatment for gynecomastia is often surgery to reduce the size of the breasts and restore a masculine contour to the chest. The trial for this lawsuit was slated to begin Monday, October 31. However, prior to the start of the trial, the parties involved in the litigation reached a settlement for an undisclosed amount. This is the second case in the mass tort in Philadelphia Court of Commons to be settled on the eve of the trial date. The first was settled in May 2015, also for an undisclosed amount. Four Risperdal lawsuits that have gone to trial have resulted in large jury awards for the plaintiffs. In the first, which was held in February 2015, the plaintiff was awarded $2.5 million. The next, in November 2015, led to a $1.75 million jury award. The third verdict, which totaled $500,000, was decided in December 2015 and the fourth, which gave a boy in Tennessee $70 million, was awarded this past July. Johnson & Johnson and their subsidiary Janssen Pharmaceuticals argued in this most recent lawsuit that there was no evidence definitively linking Risperdal to the patient’s gynecomastia. The defendants also asserted that if the generic drug caused the condition, the plaintiff’s claims involving the products warning label should be preempted by federal law. The companies have indicated that this Risperdal settlement is not an admission of liability; they have also stated the decision to settle this case does not impact the way future cases will be handled.